A new three-strain combination of Lactobacilli developed by Envirosystems is employed in OptiSile Extra Silage. One is the widely used L plantarum, to support a standard lactic acid fermentation. The combination of the other two are not used for any other UK silage additive and produce acetic acid, a proven inhibitor of moulds, yeasts and Clostridia. OptiSile additives are fully certified for use in organic systems by the Soil Association and Organic Farmers and Growers. 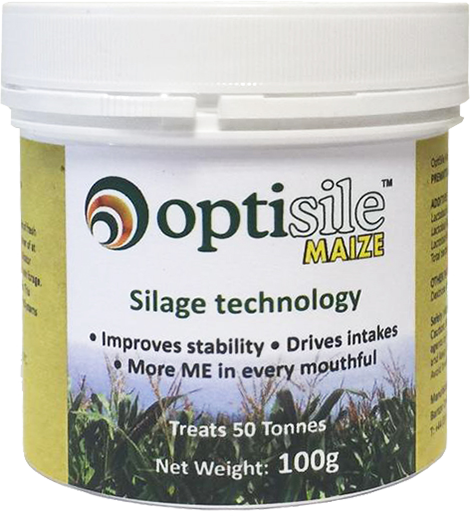 OptiSile Maize utilises enzyme technology to treat maize silage which is a naturally highly fermentable crop. OptiSile Wholecrop contains a bacteria and enzyme formulation designed specifically for wholecrop forage. 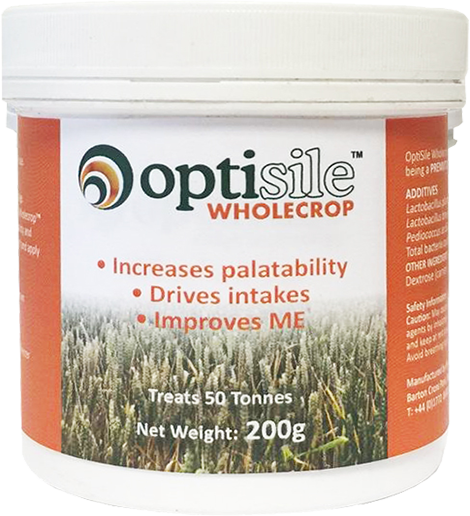 OptiSile additives are designed to improve the stability and palatability of forages. Our farmers say Optisile treated silage is more rumen-friendly, increasing dry matter intakes and reducing forage waste and gives them more milk from forage.